The great Russian talent GM Ivan Bukavshin has tragically passed away at age of only 20. According to RCF, the reason for the untimely of GM Bukavshin is a stroke. Ivan Aleksandrovich Bukavshin was born 3 May 1995 in Rostov-on-Don. Bukavshin became U12 European champion in 2006, U14 European Youth Champion in 2008 and U16 European champion in 2010. 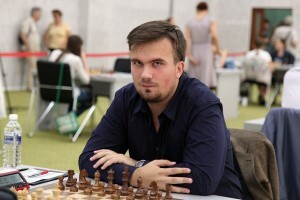 In 2013, he tied for 1st–11th with Pavel Eljanov, Dmitry Kokarev, Alexander Areshchenko, Denis Khismatullin, Oleg Korneev, Dragan Solak, Vadim Zvjaginsev, Sanan Sjugirov, Maxim Matlakov and Ildar Khairullin in the Chigorin Memorial in Saint Petersburg. In the following year, he tied for first with Ivan Ivanišević in the same tournament, but placed second on tiebreak, after both players finished on 7,5/9 points. Bukavshin won the Russian Junior (Under-21) Championship in 2014 and 2015. In April 2015, he took clear third place at the Aeroflot Open in Moscow, behind Ian Nepomniachtchi and Daniil Dubov. Later that year, in July, Bukavshin tied for first with Vladislav Artemiev and Alexander Motylev, placing third on tiebreak, in the Russian Championship Higher League held in Kaliningrad and earned the qualification for the Superfinal of the Russian Chess Championship. In the latter he scored 5/11. At the Chess World Cup 2015, for which he qualified through the European Individual Chess Championship held in February-March of the same year, he was eliminated in the first round by Sergei Zhigalko after the rapid tiebreakers. In December 2015 in Khanty-Mansiysk Bukavshin won first the 11th Ugra Governor’s Cup, edging out on tiebreak Aleksandr Rakhmanov and Urii Eliseev, and then the Russian Cup knockout tournament, defeating in the final Dmitry Kokarev. Our condolences to the family, friends, and the Russian Chess Federation.